Take part in our exciting tour and find the love of your life in Barranquilla city! Are you a single man interested in dating beautiful women in Colombia? Well, here in Barranquilla Women, you will have the amazing opportunity to meet, date, and mingle with hundreds of single, gorgeous, and attractive Barranquilla ladies who are also looking forward to meeting men like you! Barranquilla is an upbeat, cosmopolitan, and maritime port city in Colombia known for its grand carnivals, festive entertainment, and vibrant nightlife. It is bordered by the lush Caribbean Sea in the north, making it an important trading hub in Colombia. Although it is highly modern and urbanized, Barranquilla has preserved many of its historical buildings and landmarks, including brick-lined pavements and brightly colored vintage-style houses. 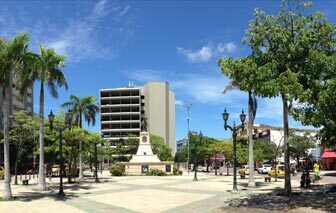 The city is also home to various tropical wildlife and vegetation, which makes for an interesting mix of modern cityscape blended with a relaxed, tropical vibe; it also upholds a rich historical heritage, making it a modern paradise for numerous tourists. Barranquilla is also home to some of the most mesmerizing Latin women in the world. 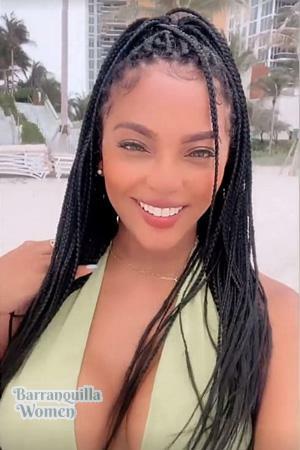 Barranquilla women are naturally voluptuous, with exotic feminine facial features, not to mention their deep-set brown eyes, full lips, and naturally-tanned skin tones. 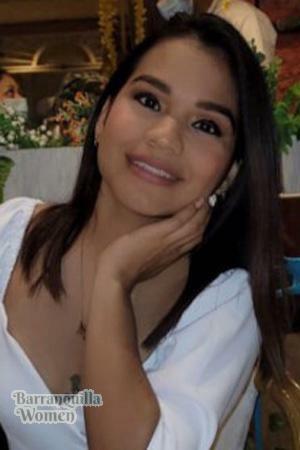 They have also grown up in a culture that encourages women to embody beauty, traditional virtues, and femininity, all while being open to the multiculturalism of the metropolis; all of these have brought Barranquilla women to the list of the most desirable Latina ladies there can ever be. Exquisite, feminine, smart, and outgoing: you can never go wrong with dating a Barranquilla woman. Since Barranquilla is known for their jubilant carnivals and exuberant nightlife, dating Barranquilla women can be a fun and exciting experience! Colombian women love to dance and Barranquilla, which holds the annual Carnaval de Barranquilla, is the best place to enjoy one’s self with Carribean dance and music. These Latin women are outgoing and friendly, and they are ideal dating prospects for any single foreign man. This will surely make your travel experience to Barranquilla life-changing and worthwhile. Get a chance to explore this colorful city while meeting gorgeous Barranquilla women at the same time! All of the ladies here in Barranquilla Women have been verified via a thorough screening process. They also want to find real, lasting love with men like you as you both travel around this lively city. To View Full Profiles Register FREE Instantly! 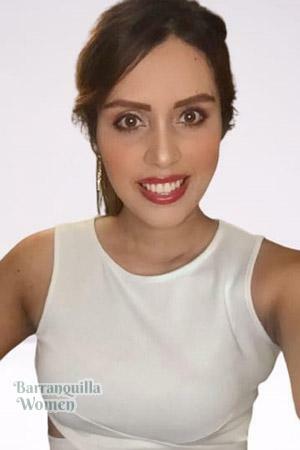 You can meet and date attractive Barranquilla women by either joining a Barranquilla singles' group tour where you can interact with women during trips around the city and social events, or you can sign up for an individual club tour as well. Our friendly staff are going to assist you with the booking schedules and events lined up for both our group and individual tour packages. Colombian women have a distinct charm that literally captivates men’s hearts from all over the world. In fact, two of the most alluring women known for their beauty and talent in Hollywood both hail from Barranquilla. Besides being naturally-gifted with gorgeous curves and faces, Barranquilla women are also raised in a culture that values femininity, coupled with strong traditional values. Colombian women have grown up in a culture that values family above all else. Although Barranquilla women are hard-working and goal-oriented, they still cherish marriage and family life. Colombian women value devotion, commitment, and loyalty to one’s family. These women also embrace their femininity. They absolutely love being a woman and take pride in looking at their best. Barranquilla women always want to look good and accentuate their curves and beauty -- no wonder why many Colombian women triumph in certain beauty pageants! They also like the idea of men taking the lead, such as being taken out to romantic dinners and escapades -- they love being around a good gentleman! Ready to meet and date gorgeous Barranquilla singles? Well, they are excited to meet you too! You might even finally find your gorgeous Barranquilla bride here. Barranquilla Women is your best resource for meeting hundreds of genuine and beautiful Barranquilla women. Our profiles are updated every week, and we post schedules of our singles’ tours regularly. We also have guides and tips about travel, culture, and dating women in Barranquilla. All you need to do is register and create an account here in Barranquilla women for FREE. There is NO credit card required and there is absolutely NO OBLIGATION in any way! without express permission from Barranquilla Woman.